Be the sender of good tidings and cheer for everyone’s favorite time of year when you send out personalized Holiday Snowflake Postcards for your seasonal event. This unique Postcard template has space to include your own image on a pretty turquoise background with intricately detailed snowflakes. Freeze! 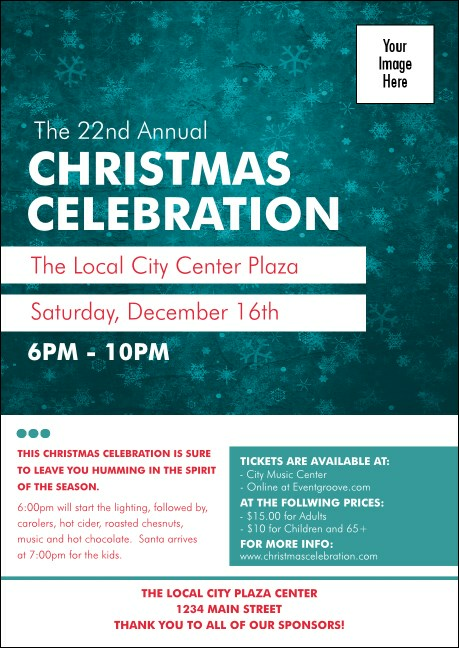 Find the perfect promotions for your holiday event at TicketPrinting.com.